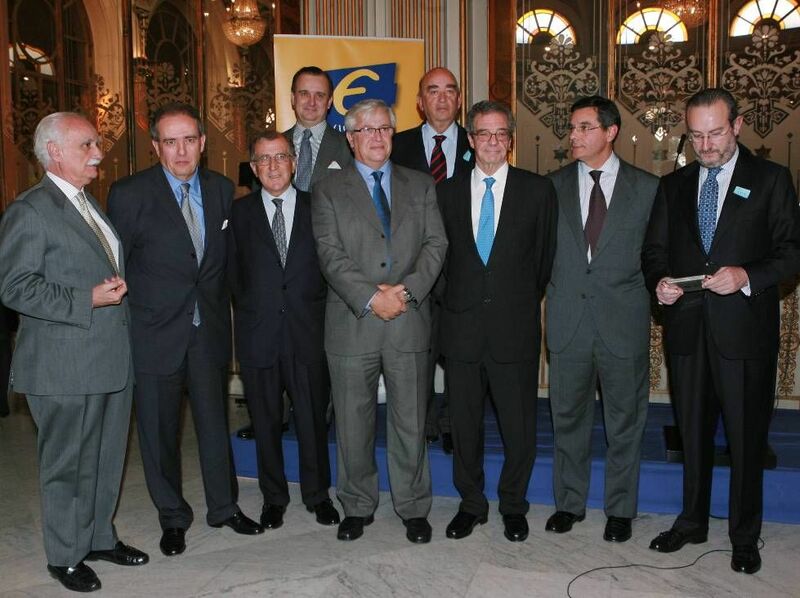 Family picture of the IV Internalization Annual Awards of the Exporters and Investors Club. 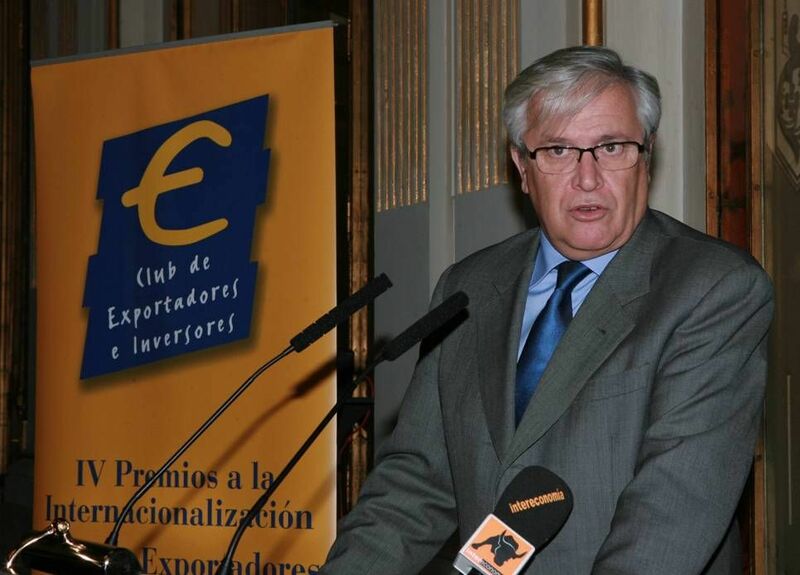 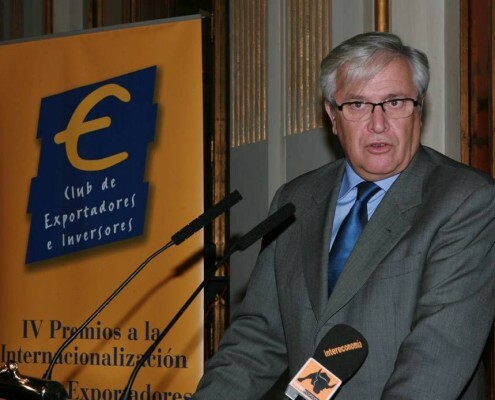 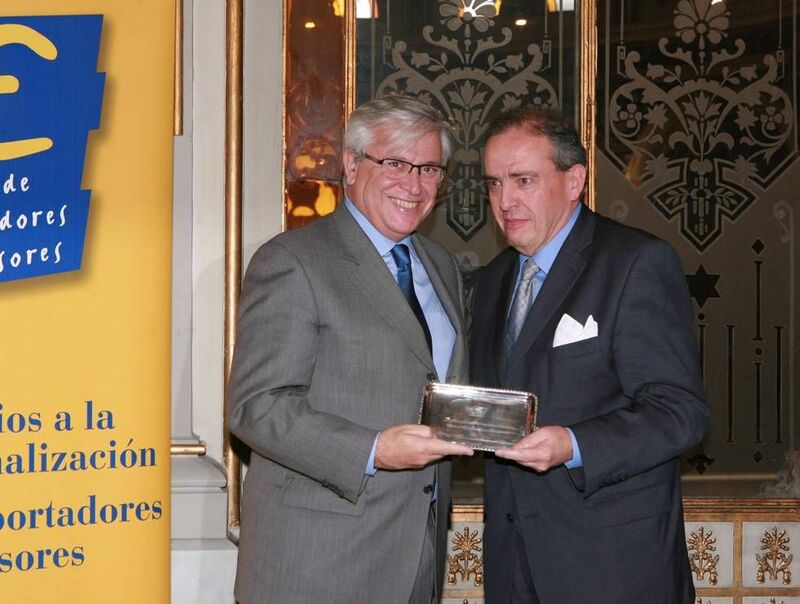 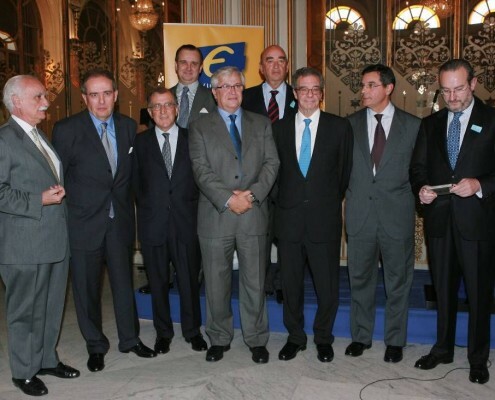 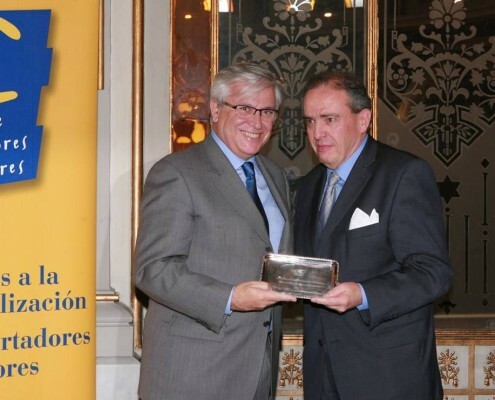 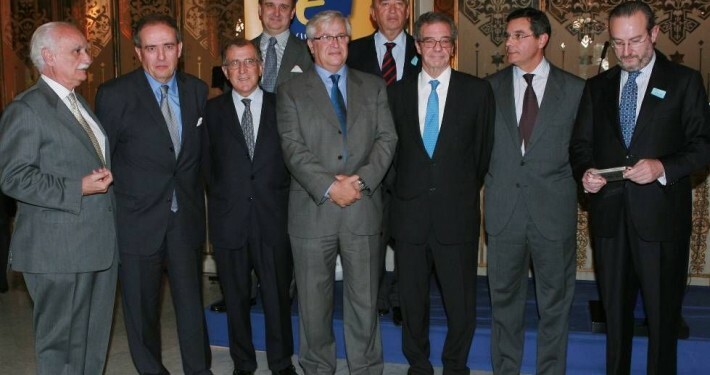 From left to right, José María Jerez, Javier Elorza, Balbino Prieto (president of the Club), Joan Clos (Minister of Industry, Tourism and Commerce), César Alierta (Telefónica), Antonio Bonet (ACE International Consultants) e Iñaki Garay (Expansión). 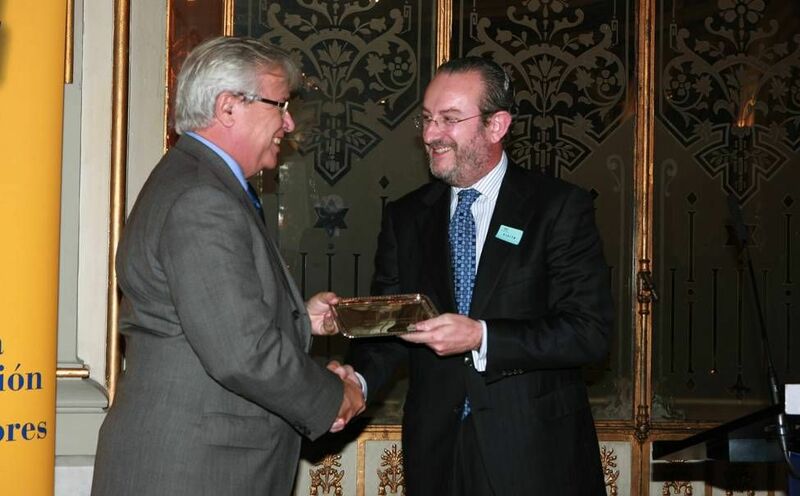 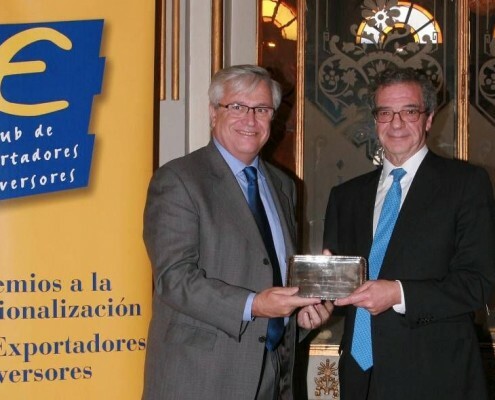 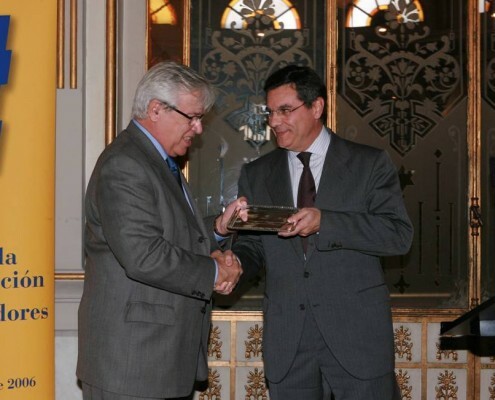 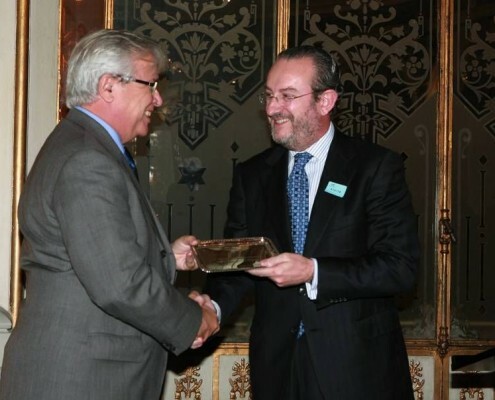 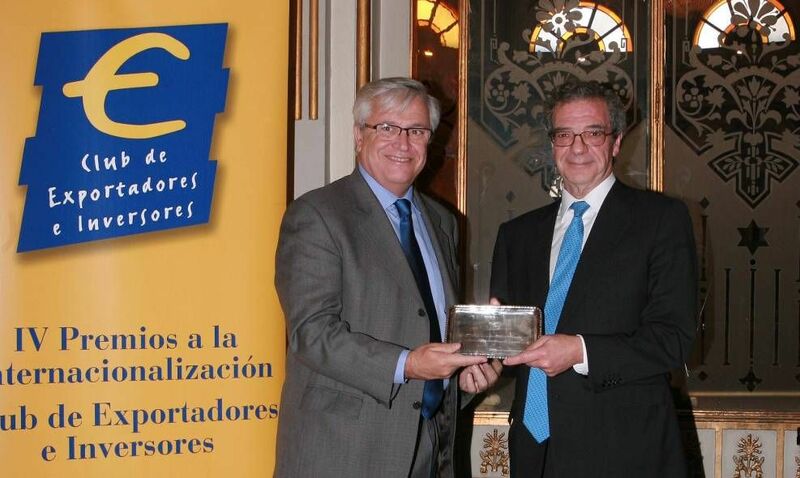 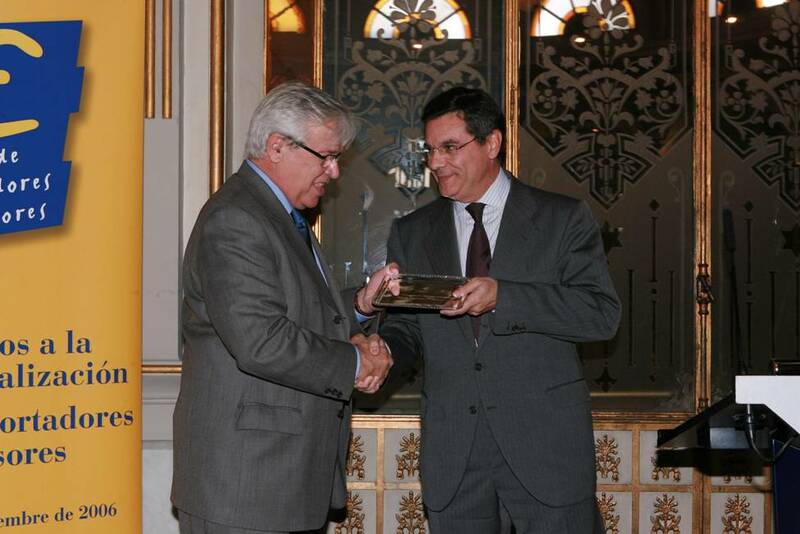 Por detrás, Juan José Zaballa (Iberglobal) and José Lladó (Técnicas Reunidas).